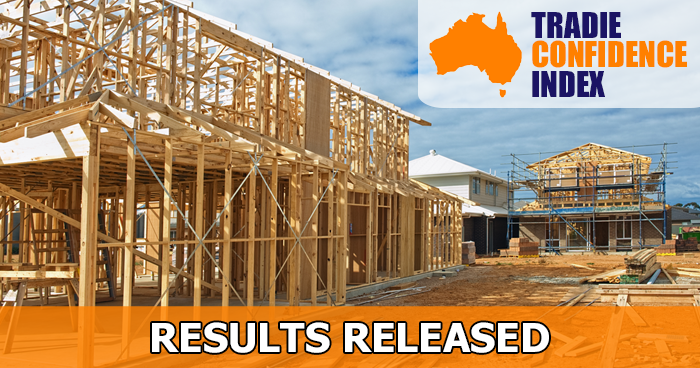 We are pleased to present the results from our third quarterly Tradie Confidence Index (TCI) survey. The survey period covers the first quarter of 2018, being January to March. On this page we will detail the results for each question, both at a national level and a state level. State levels are restricted to New South Wales, Queensland and Victoria, as only these states had sufficient submissions to give an accurate result. As with any type of confidence index, it is the trend that gives more of an insight rather than the individual results. Question 1. Would you say you have more work or less work on now compared with the same time last year? Question 2. This time next year, would you expect to have more work or less work on than you do now? Question 3. Do you think over the next 12 months tradies overall will be experiencing good times or bad times? Question 4. Thinking about the overall Australian economy, are you expecting good times or bad times over the next five years? Question 5. Do you think the next 12 months will be a good time or a bad time to invest in your business? Be it equipment, staff or otherwise. The total number of responses was 82. It’s not a huge number, but it was the first survey coming out of the Christmas break. It is only our third ever survey and we expect to get larger numbers in subsequent surveys. Which of the following categories does the majority of your work fall into?